As a girl who adores mini albums, I kinda sorta took the low road on this month's mini book Gallery assignment at write.click.scrapbook. But, it just kind of worked for me and what I needed at the time, so I went with it and hope that you might find it an interesting idea as well. 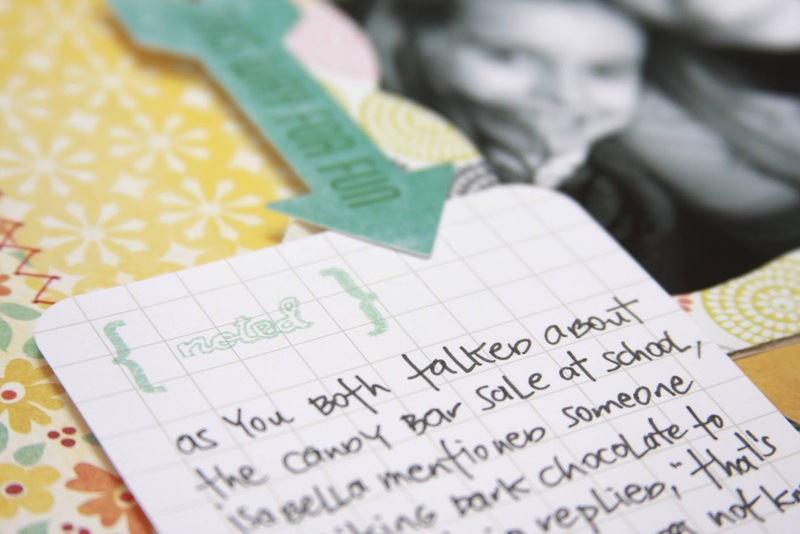 Today we're having a blog hop and giveaway celebrating our friend Avital's newest stamp set release, List It Journaling Mates, available here. 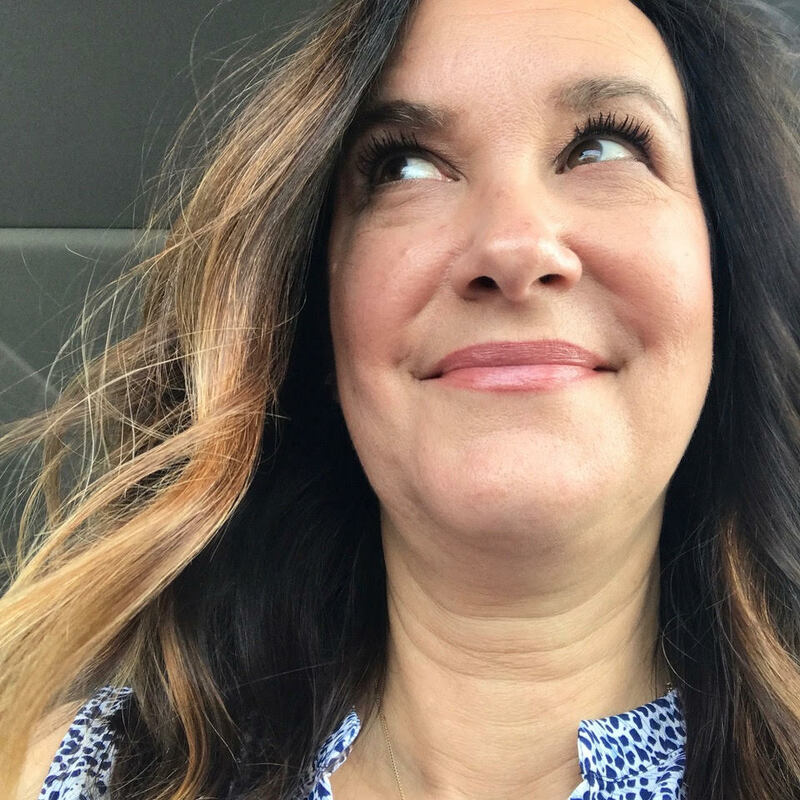 So many times, as I drive and overhear conversations from my girls in the back seat, I THINK that I'm going to remember what they said. But I don't. And that's where this little pocket | purse mini notebook came in to play. 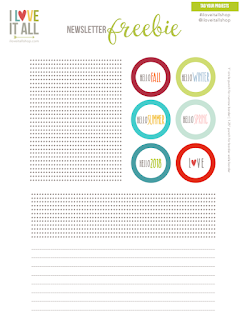 I utilize the load of Project Life cards I bought on Amazon and the List It Yourself Journaling Mates. Now, when I come to a traffic light, I can quickly jot down the conversation before it's forgotten forever. Trim. Sew. Stamp. Stuff. The stamped PL cards fit snugly inside and won't fall out once the mini book is folded. I love it and have already used it. And with one of the moments I documented with my List It Journaling Mates cards, I made this layout. 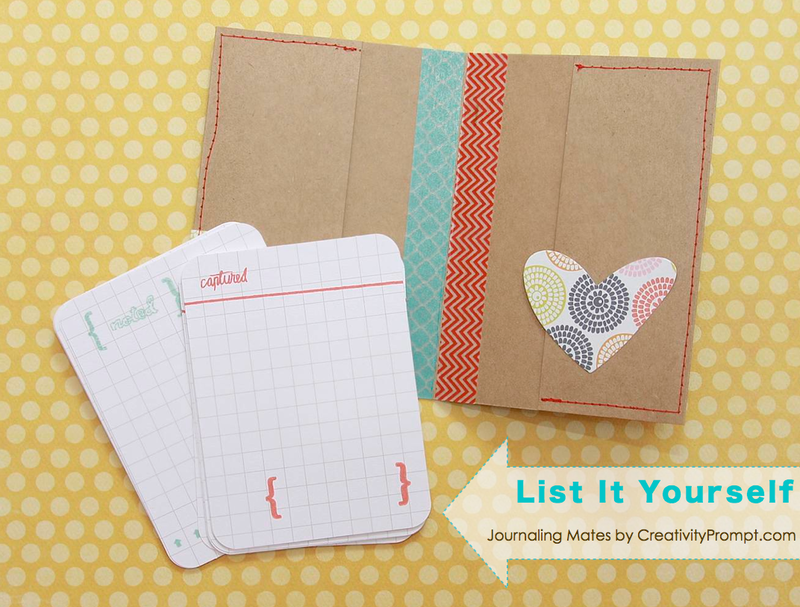 What I find so appealing is that the cards can then be added directly to a layout or your Project Life album in an instant. 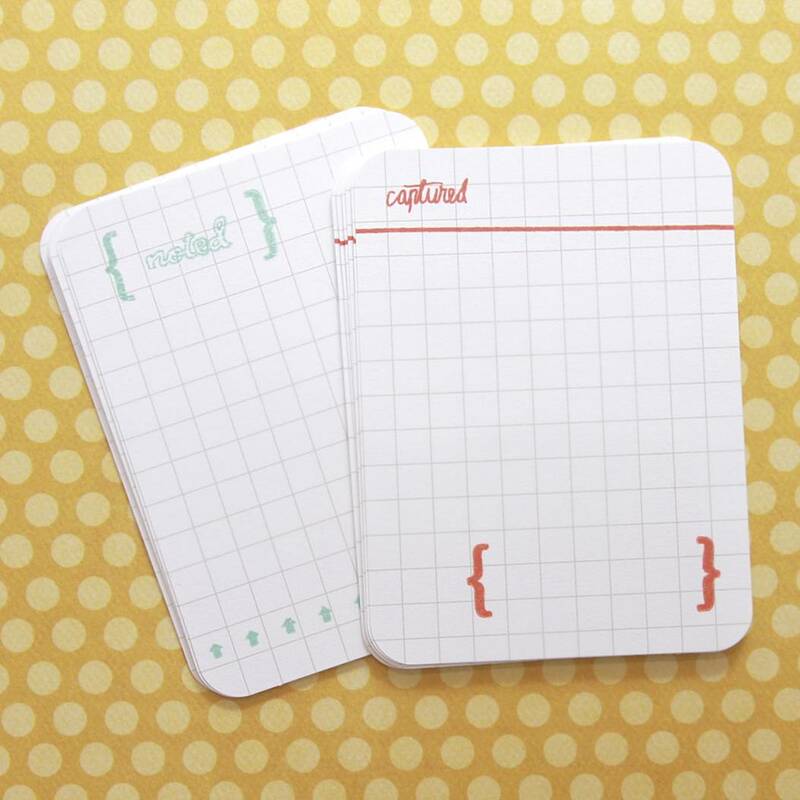 If you're not a stamper or a scrapbooker but like to make lists, these notepads are pretty nifty! I've been given an extra stamp set to share with a reader and it could be YOU! 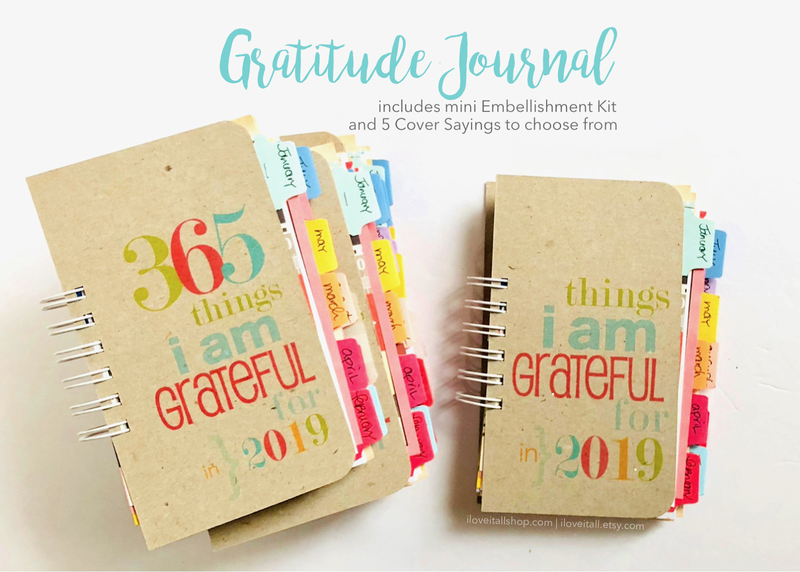 To enter, just leave a separate comment for each entry telling me you've liked Creativity Prompt on Facebook and/or subscribed to the blog feed. and/or subscribed to Creativity Prompt's You Tube channel. Giveaway closes Sunday evening at 8:00 pm EST. Be sure to leave your e-mail address with your comment...so many times, people win, but there isn't a way for me to contact them so I have to choose another winner. What a cute little tag holder, and I love the tags you created. This is such a versatile set! What a fantastic idea for recording memories! I have liked Creativity prompt on FB and also subscribed to their blog. Love Creativity Prompt and have subscribed to the blog for a long time! These stamps are amazing and I really like the way you used them. 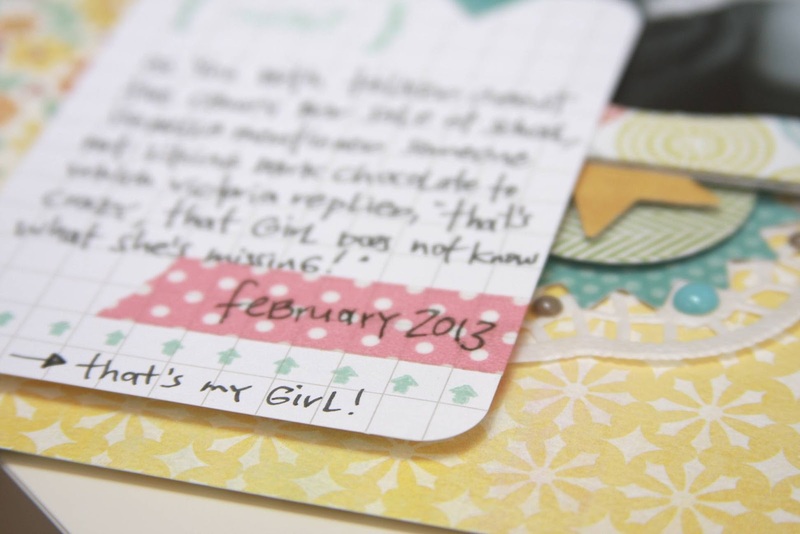 The journaling card folder is such a great idea! Wish I'd had it when my kids were little....just sayin'! I subscribe to Creativity Blog. Great stamps! The journaling card folder is really useful. I subscibe to Creativity Prompt. I like the way you use these stamps. I have subscribed to Creativity Prompts for a long time... but I have to say (shame on me) : I discover today the videos on You tube and all the stamps ! I like Creative prompt on FB! Thanks for the chance to win! ... and subscribe on YouTube! ... and of course I forgot my emaíl addy. gewalli@hotmail.com. Thanks again! 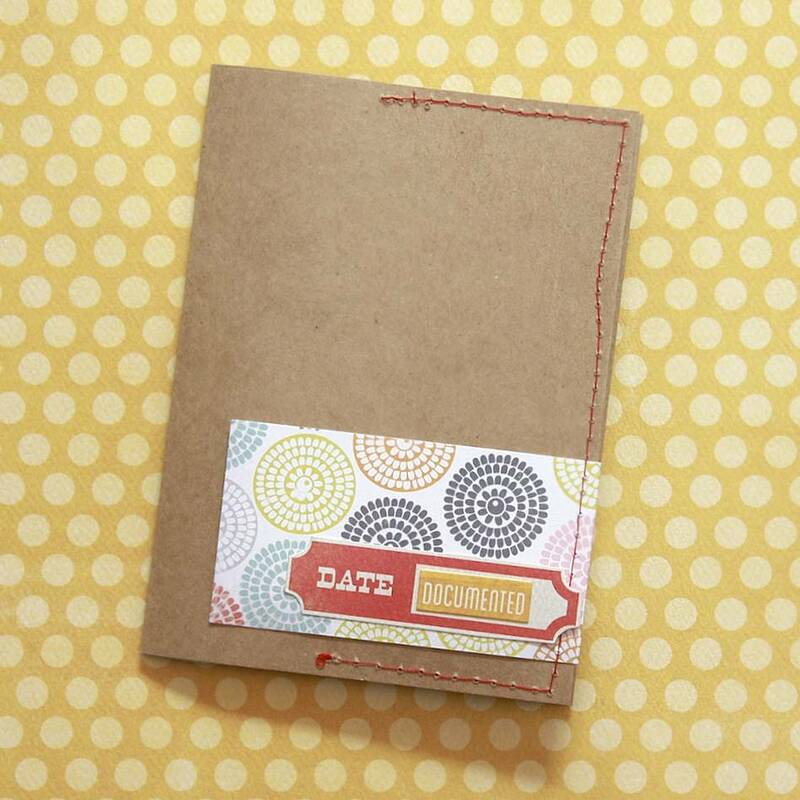 I love this so versatile new stamp set ! I subscribed to your blog & Alexandra's blog(for a while), to Creativity Prompt's blog and YouTube Channel. I liked the FB page. Here's my email : petiteflower7777@hotmail.fr. Thanks a lot for this great giveaway ! This stamp set is fabulous! Thank you so much for joining on on the hop. adorable little mini!! Amazing how much cute a litlte washi and stamps add!! But of course anything with your girls is going to be cute. 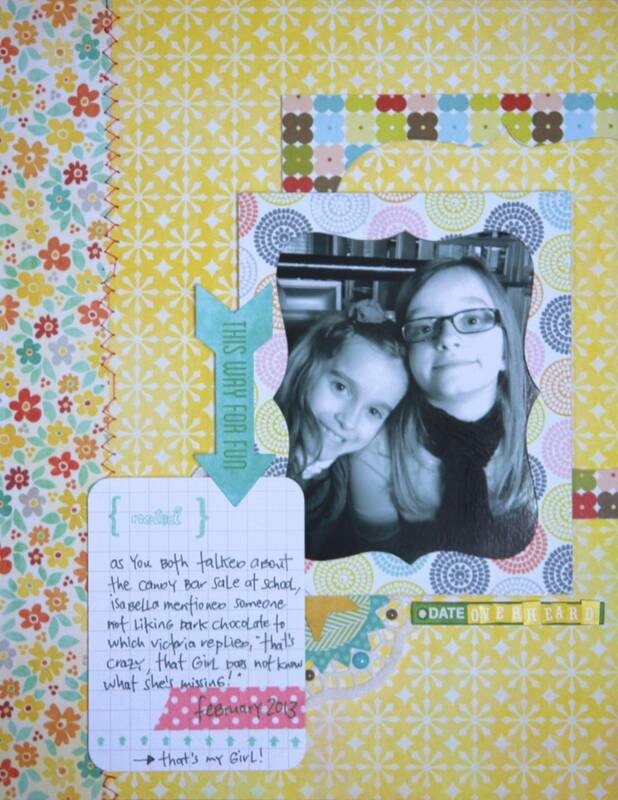 I love how you took that snippet of journaling and voila....you had a scrapbook page! Cute stamp set. I have liked Creativity Prompt on FB. What a great way to capture those special moments with your girls! I love how you stamped your cards, and your mini is fabulous! 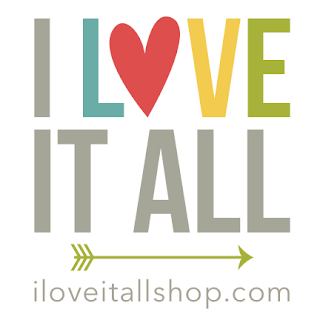 Love your layout, too! I "Liked" Creativity Prompt" on FB! I also subscribed to Creativity Prompt on You Tube...thanks so much for sharing these links with us! I liked Creativity Prompt on Facebook. Thanks for the chance. I just subscribed to her Youtube channel. Thanks for the inspiration.